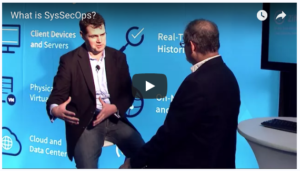 SysSecOps is a new phrase, still unseen by many IT and security administrators – however it’s being discussed within the market, by analysts, and at technical conferences. 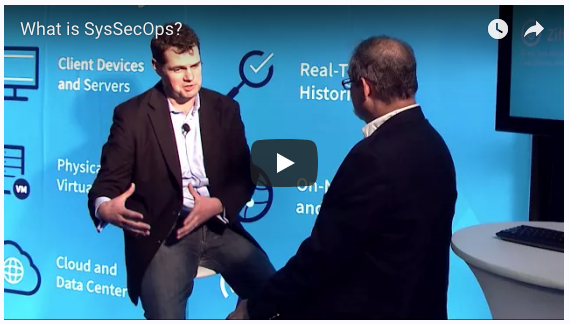 SysSecOps, or Systems & Security Operations, describes the practice of combining security groups and IT operations groups to be able to make sure the health of enterprise technology – and having the tools to be able to respond most effectively when issues happen. 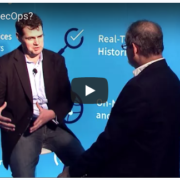 SysSecOps concentrates on taking down the info walls, disrupting the silos, that get between security groups and IT administrators. IT operations personnel are there to make sure that end-users can access applications, and that important infrastructure is running at all times. They want to optimize access and availability, and require the data required to do that job – like that a new employee needs to be provisioned, or a hard disk drive in a RAID array has actually stopped working, that a new partner needs to be provisioned with access to a secure document repository, or that an Oracle database is ready to be moved to the cloud. It’s everything about innovation to drive business. Endpoint and network monitoring details and analytics are clearly customized to fit the diverse needs of IT and security. However, the underlying raw data is in fact the exact same. The IT and security groups simply are looking at their own domain’s issues and scenarios – and doing something about it based upon those use-cases. Yet in some cases the IT and security groups have to interact. Like provisioning that brand-new organization partner: It must touch all the ideal systems, and be done securely. Or if there is a problem with a remote endpoint, such as a mobile phone or a mechanism on the Industrial Internet of Things, IT and security might have to work together to identify exactly what’s going on. When IT and security share the exact same data sources, and have access to the very same tools, this job becomes a lot easier – and hence SysSecOps. Envision that an IT administrator spots that a server hard drive is nearing full capacity – and this was not anticipated. Perhaps the network had actually been breached, and the server is now being utilized to steam pirated films throughout the Web. It happens, and finding and resolving that issue is a task for both IT and security. The data gathered by endpoint instrumentation, and showed through a SysSecOps-ready tracking platform, can assist both sides working together more effectively than would happen with conventional, distinct, IT and security tools.